Whether you are a lover of musical theater or not, one can't help but notice that it surrounds our culture. Last year "La La Land" won academy awards galore and this year we have "The Greatest Showman" up for awards in the major film award shows. And you would have to be living in a vacuum to not know something about "Hamilton,” the big Broadway bash which is currently playing at the Fox and travelling around the country, and of course we are about to celebrate the 100th anniversary of The Muny. According to Mike Isaacson, director of The Muny, "The musical is now one of the world's greatest and most beloved forms of entertainment and art. Born from an American restlessness, an American zeal for variety and the cultural polyglot that continues to define America, the musical sometimes unites, sometimes smashes together different artistic disciplines-music, drama , the visual arts-to create something wholly new and fresh and inspiring. It isn't a stagnant form. It continues to stretch and evolve and skin shed, always a reflection of our still young nation finding itself. Yesterday's "Oklahoma" is today's "Hamilton." Both reflect a boldness and humanity and yearning that is uniquely American. The musical is America's gift to the world, and we're all lucky to receive it." 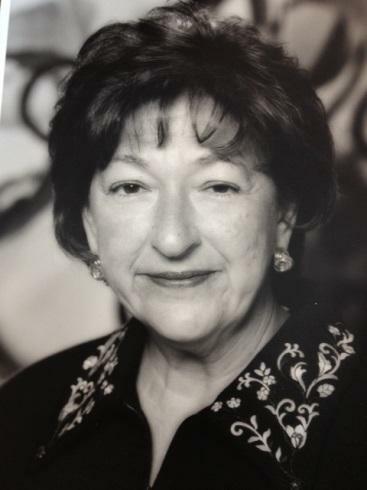 Judith Newmark, St. Louis' savvy theater critic, when speaking of the Muny says, "In the Muny's early years, St. Louisans debated what kind of shows best suited the enormous open-air theater in Forest Park. Operettas? Revues? But in the 1950's, the Muny blossomed with a kind of show that didn't even exist when it was built: musicals that told absorbing, socially astute stories through rich, romantic songs. They were written during a period that stretched from the 1940s into the 1960's, a period today known as musical theater's Golden Age. The Muny was well positioned to give these shows first class productions as soon as they were available. With its size and polish, the Muny matched the proportions of shows by such Golden Age artists as Cole Porter and Irving Berlin, Frank Loeser and Leonard Bernstein, Kurt Weill and Lerner and Loewe. And above all, Rogers and Hammerstein. I was thumbing through an old theater "Playbill" and found a quote, "Research has found that the human brain remembers language better if learned through singing." I then was looking through a few of New Line Theatre's Scott Miller’s books and found a similar quote by Miller, "The best musicals have everything the best plays have--great words, great characters, great emotions, great drama and comedy, timeless themes, universal truths. But musicals also have music. And no matter how you slice it, words alone can never have the dramatic power or intensity of emotion that music possesses. The great director and teacher Konstantin Stanislavski said that the abstract language of music is the only direct way to the human heart." Miller is, of course, the founder and director of New Line Theatre, an alternative theater company which produces challenging adult politically and socially relevant works of musical theater. Many folks think of musical theater as tra-la-la with no meat or core. After reading some of Miller's many books, I saw shows such as "Oklahoma" in a much more meaningful and sophisticated way. Instead of shying away from this fact, we should celebrate it. Musical theater isn't some ancient, dusty, irrelevant invalid; it's a thriving, vigorous art form that gives us an exciting forum in which to talk about our world and try to figure things out. After all, why bother doing "Carousel" or "Camelot" if its issues don't speak to our times as well as its own? Here in St. Louis we are blessed with dozens upon dozens of theatrical groups which produce productions of high quality. Jack Lane of Stages says, "Musical Theater is the great American tonic. It is a thirst quencher in our parched society. It combines the three great disciplines of acting, voice and dance and orbits them into the heavens." Insight Theatre produces both straight drama as well as musicals. They produced an incredible musical, "Next to Normal" last year and I recently saw Max and Louie's "Souvenir" which was incredible, and Stray Dog Theatre produces musicals as well as regular plays, and there are "oodles" of top quality community theater productions of musical all over town. One could see a musical theater piece almost every night of the week in all sorts of interesting venues literally all over town, year round. I'm getting geared up for the big Muny shebang and special 100th season and hope you are too. A few evenings ago, my husband and I had dinner with two creative and inspiring senior citizens. Frank Schwaiger at age 78 continues to design buildings, build sculptures, paint and be creative in every way, shape and form. Our mutual friend, Leslie Laskey, 96, professor emeritus at Washington University, is still a revered artist and teacher. When Laskey spoke at the Bruno David Gallery a few weeks before, every eye, heart and mind was enraptured by his words and enthusiasm.